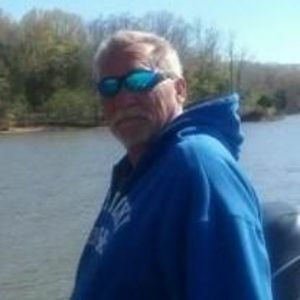 Robert Lance Barnhill Sr, 55, of LaGrange, KY passed away on Friday, May 12, 2017. He was a Unit Operator for KU and enjoyed fishing on Kentucky Lake. Preceded by his son; Robert Lance Barnhill Jr., father; Robert Earl Barnhill, and nephew; Christopher Matthew Broyles. Left to cherish his memory are his wife of 35 years; Dianna Barnhill, daughter; Elizabeth Wolz (Joseph), granddaughters; Angel'Lynn Wolz and Mackenzie Wolz, sisters; Debi Barnhill Phillips (Larry), Belinda Barnhill Broyles (Neil), and Shelley Barnhill, brother; Hank Houston (Debbie), mothers; Millie Euline Texas (Jim) and Joann Barnhill, nieces; Katie Norris (Jason) and Baylee Norris, and nephews; Fletcher Phillips, Ryan Phillips, and Cody Mann (Kayla and Amelia) and loving in-laws; Charles and Betty Fout and Elizabeth and William Austin. A gathering to celebrate the life of Lance will be held at Heady-Radcliffe Funeral Home Monday, May 15th from 4-7pm. Memorials can be made to American Cancer Society to honor Lance's life.